Reserve colonel says IDF is ignoring its own research by insisting on pushing women into combat. Female soldiers near Beit El. "The attempts to integrate women into combat units has completely failed," Reserve Colonel Raz Sagi told "Haboker Shel Keshet" on Sunday morning television. Sagi said the IDF is conducting research which proves the attempt to integrate women into combat units has failed, but ignores the obvious conclusion and continues the integration attempts "as if previous attempts had succeeded." "They're not giving us the real statistics," Sagi said. "That's very problematic. The real test is in the field, and it's not about pushing gender equality. "The real purpose of combat is to destroy the enemy in the battlefield. "16.5 years of working with the Air Force have given us five female fighter pilots. And that's a kind of success. But if we're talking about ground forces, it's completely different. Over 46% of injuries female combat soldiers suffer are just from the training exercises and routine security operations." The IDF continues to substitute female soldiers for male soldiers in combat units, reducing the units' effectiveness and fighting capabilities. 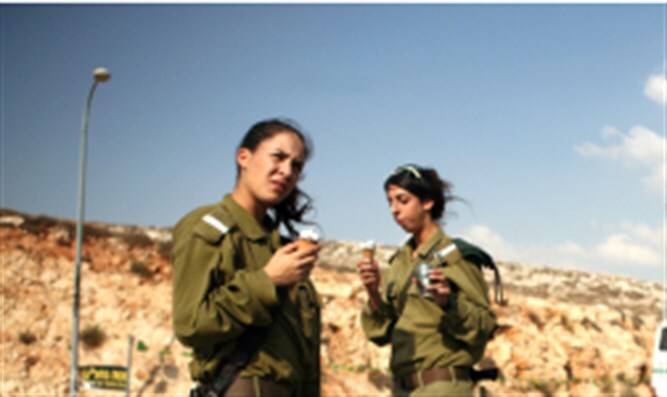 Recently, Arutz Sheva asked the IDF if Hamas would be willing to set up benches to help female combat soldiers climb walls, as the IDF does to enable them to complete basic training.